Let’s be honest: We all want to drive a luxury car. Who hasn’t dreamed of flying down the highway in an Aston Martin, James Bond style? These awesome local luxury dealerships have you covered whether you’re looking to buy new or used. Here are our favorites. It doesn’t get much more luxurious than Luxury Auto Collection. This dealership is located right near the Scottsdale Airpark and even sells luxury aircrafts. You’ll find the finest luxury and exotic car collection in Arizona at this top dealership. They sell top brands like Aston Martin, Lamborghini, Maserati, Lamborghini, and Rolls Royce to name a few. Luxury Auto also gained fame when they sold two of Floyd Mayweather Jr.’s luxury Bugatti’s. Looking to buy European? Look no further than iAutohaus. This Tempe dealership specializes in pre-owned luxury European automobiles. Their 25,000-square-foot showroom features a laundry list of fine foreign models. You’ll find luxury vehicles from Audi, Maserati, Jaguar, Porsche and more. iAutohaus also has a high-end service department for luxury automotive repairs. It’s no secret that Scottsdale’s streets are filled with luxury cars. There’s no shortage of luxury car dealerships in Scottsdale, but many drivers still choose to shop at Certified Luxury Auto. This south Scottsdale dealership has been a go-to spot for luxury vehicle owners. Their inventory includes many new models from Bentley, BMW, Jaguar, Lexus, and Mercedes-Benz. It’s not hard to find a good Lexus dealership. But Earnhardt Lexus still sets itself apart. This state-of-the-art Lexus dealership was the recipient of the Elite of Lexus designation; an honor bestowed upon top Lexus dealerships. One stop inside their Phoenix showroom and it’s easy to see why. They have a huge inventory of the finest new and pre-owned Lexus models. They also have a service department with Lexus factory-trained technicians. Luxury Motorsports is a fitting name. This Phoenix dealership specializes in used luxury cars acquired from many local new car dealerships. It’s a favorite among luxury car fans looking to buy on a budget. They have premium pre-owned options from BMW, Lexus, Mercedes-Benz, and more. They also have a large inventory of SUV’s, trucks, 4x4s, exotic, and highline vehicles. Certified Benz & Beemer is no stranger to accolades. It’s not hard to find good reviews and customer testimonials for this Scottsdale dealership. DealerRater.com even named them “Used Car Dealer of the Year,” a few years back. 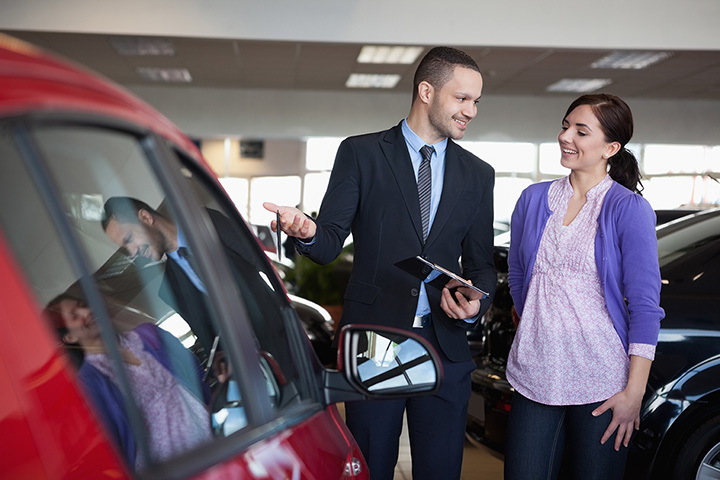 They’re the largest pre-owned luxury vehicle dealership in Arizona. Of course, you’ll find a steady inventory of Mercedes-Benz and BMW’s. However, they also carry luxury models from Aston Martin, Lamborghini, Maserati, and more. Get ready to go on a shopping spree. Mercedes-Benz of Scottsdale is located right across from Scottsdale Fashion Square. The brand-new facility is home to an exclusive listing of luxury Mercedes-Benz models. They consistently house over 100 new and pre-owned Mercedes-Benz at a time. This dealership also offers special perks to customers. You can ride their free shuttle with service throughout the East Valley, or enjoy a complimentary cappuccino from their café. Looking for a used car? Head to JBA Motors in Mesa. They carry some of the most impressive used cars in the Valley. You’ll find everything from Lamborghinis to Rolls Royce and Ferraris on their lot. JBA Motors is no stranger to repeat customers. They have great deals, service, and financing options. Fast, affordable, reliable. Those aren’t just words you’d find in a car commercial. They’re also words used to describe Goldie’s Motors in Phoenix. This family owned dealership specializes in used luxury vehicles and low prices. Their 35,000-square-foot indoor warehouse is a stone’s throw away from Sky Harbor Airport. There you’ll find new models from Lexus and Infiniti. Looking for an old classic? They also have carry 1950s muscle cars. World Motors is another luxury Scottsdale dealership. They cater to a local customer base that’s looking for cars from around the world. You can find popular models from international brands like Bentley, Mercedes-Benz, and BMW. World Motors is also known for having a quick and easy buying process. You can drive your new car off the lot in a moment’s time.